You can't plan images like this although sometimes you secretly hope it may come off. All you can do is put yourself in the right place at the best time of day. 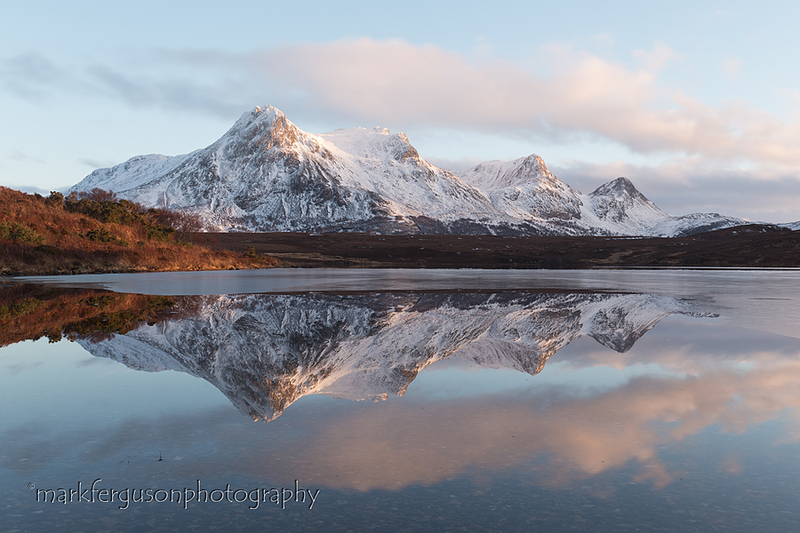 Those 4 distinct peaks of Ben Loyal look majestic reflected in Lochan Hakel near Tongue.